AbbVie and Johnson & Johnson’s hopes of adding pancreatic cancer to the repertoire of oncology blockbuster Imbruvica has hit a snag. In the phase III RESOLVE trial, Imbruvica (ibrutinib) was no better than placebo when added to chemotherapy with Celgene’s Abraxane (nab-paclitaxel) and gemcitabine in metastatic pancreatic adenocarcinoma – one of the deadliest tumours – when it came to improving progression-free survival (PFS) or overall survival (OS). The outcome of the study is a massive disappointment as this type of cancer has a five-year survival rate of less than 5%, and at the moment the only real option for patients is chemotherapy. It’s also set to become the second leading cause of cancer-related deaths in the US in 2020 after lung cancer, despite accounting for only 3% of new cancer diagnoses. The approval of Abraxane and Ipsen’s Onivyde (irinotecan liposome injection) have provided stepwise improvements in chemotherapy, but there’s a desperate need for drugs with novel mechanisms. Unfortunately, the field is littered with clinical trial failures – GlobalData notes that in 2016 alone five drugs failed in phase III for pancreatic cancer and were dropped from development. Bruton’s tyrosine kinase (BTK) inhibitor Imbruvica had been held up as a big hope for this type of cancer, but its inability to move the efficacy needle in RESOLVE means it looks set to join the other failed development candidates. For J&J and AbbVie it’s a disappointment, but not a massive setback, as Imbruvica is already approved across nine indications and six cancer types, although most of those are B-cell blood cancers such as chronic lymphocytic leukaemia (CLL) and multiple myeloma. The product has been gathering momentum for several years, with AbbVie booking $2.5 billion in sales in 2017 and J&J recording another $1.9 billion, and 2018 growth rates looking to be at around a 40% lick. AbbVie said recently it expects the drug to reach $7 billion at peak, with much of that coming from its expansion into front-line CLL treatment. 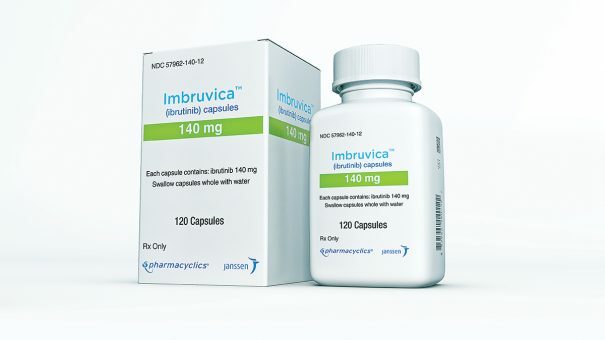 “We continue to evaluate the potential of Imbruvica as a cancer treatment alone or in combination for a variety of cancer types,” said Danelle James, head of clinical science at AbbVie’s Pharmacyclics subsidiary. “We are passionately advancing our robust ibrutinib scientific development program to continue to advance cancer standards of care, particularly in areas that have unmet medical need,” she added.